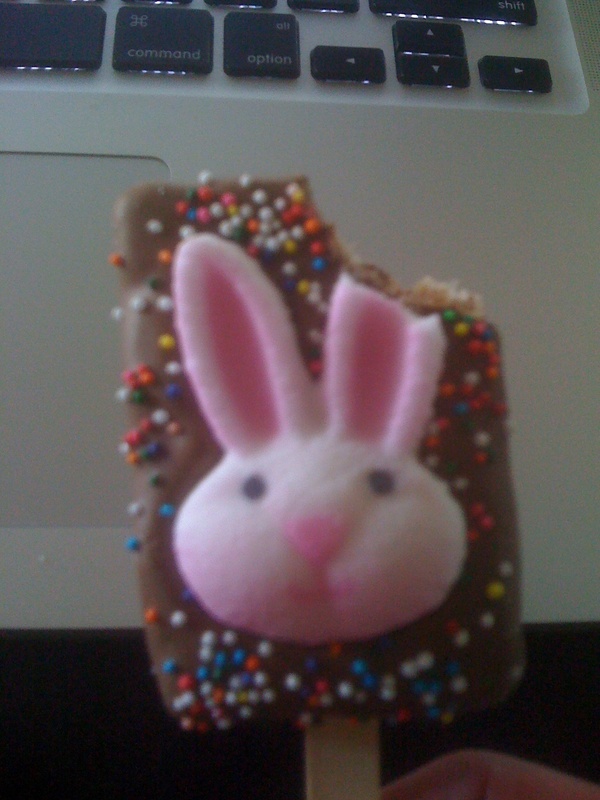 It was good while it lasted but I think I am having heart palpitations now. Have you read the recent articles on sugar addiction. 😉 No joke. Good thing we have healthy recipes to bring us back to life. A popular recipe on this blog is the Tahini dip/dressing, go here to read again. It is so good on so many things. My last post was about an experiment with sea kelp noodles, go here to check it out. If you made that recipe (or used brown rice instead to make that yummy bowl of veg and tofu), you should have had tofu left over. What to do with it? Grill it up and serve over a chopped salad and drizzle with tahini dressing. Make enough tahini dressing to use again. 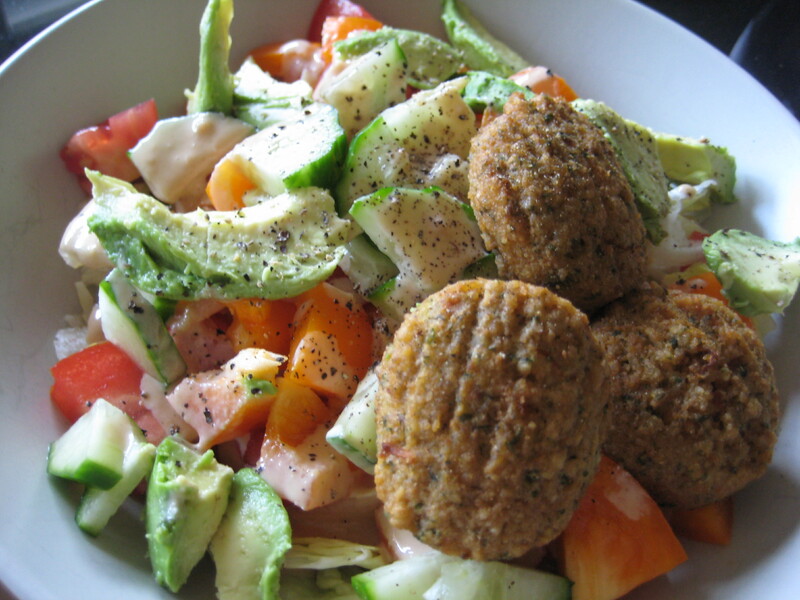 Next day, make or buy some falafel’s and warm them up, throw them onto a salad with tahini dressing and fresh cracked pepper. 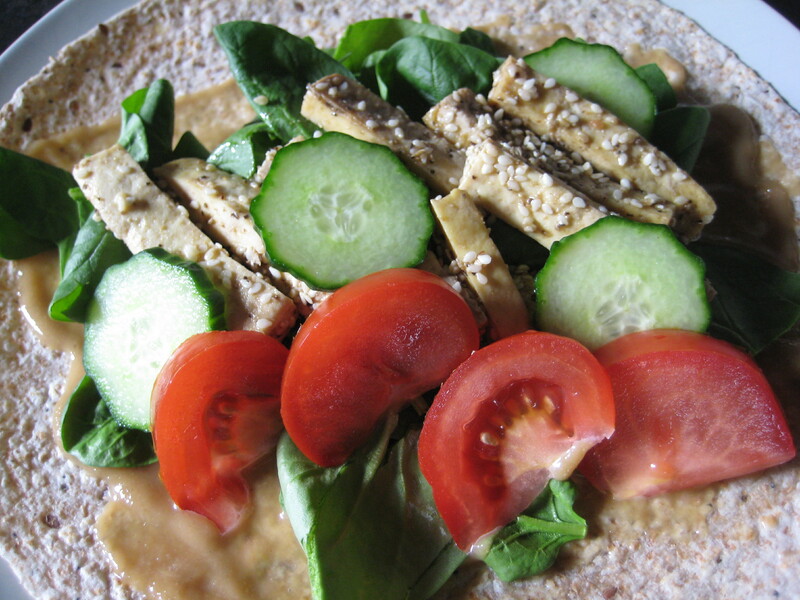 And another way to use the tahini, spread it on a whole grain wrap, add veggies and tofu (these are the tofu snacks from Planet Organic) and roll up and press in a Panini press or warm it on a stove top grill pan. Its a good quick lunch. 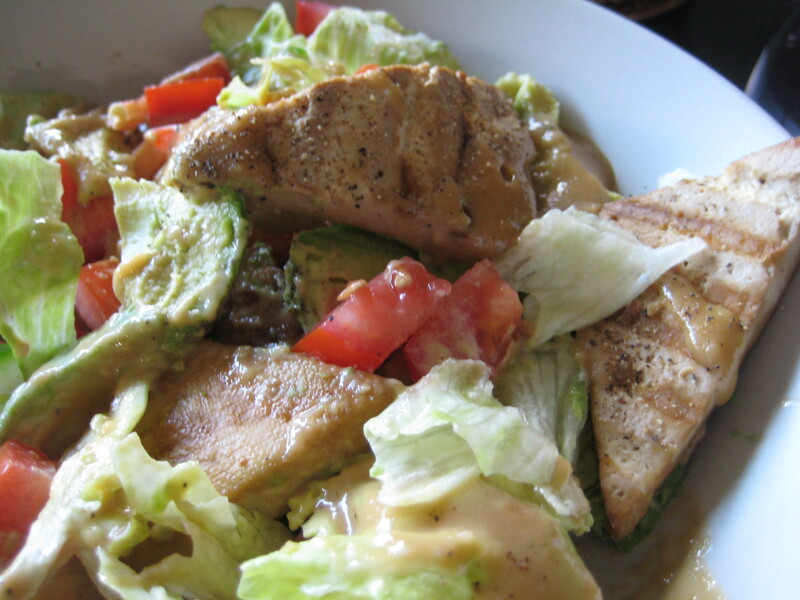 Finally, here is another tahini recipe from 2010. So many ways with tahini…what’s yours? Merry Christmas (again). If you are Ukrainian, you still have your Christmas tree up and the lights on for the last days of the season. Today is Ukrainian Christmas and the big feast was last night, Christmas Eve, based on the Julian calendar (today we use the Gregorian calendar which lines up the solstice’s or solar seasons more accurately, so Wikipedia says). 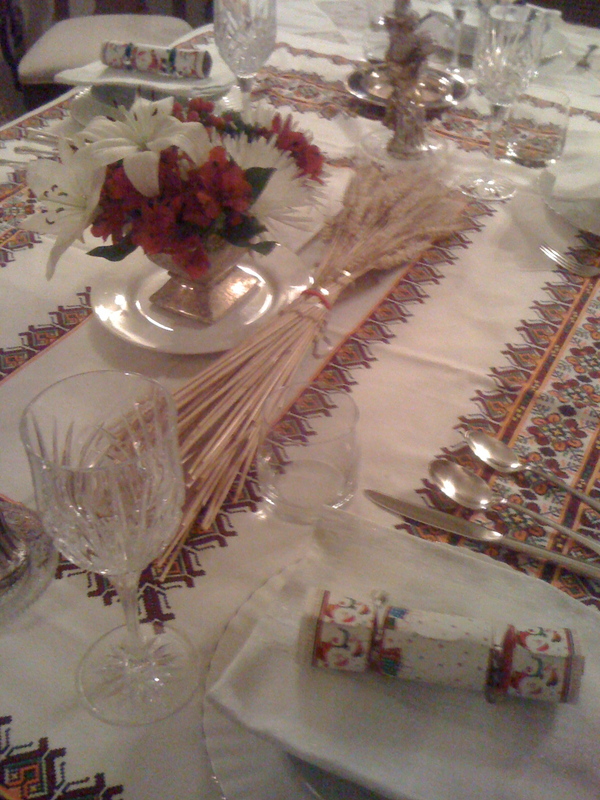 My first post on this blog was a celebration of my Food Spark and the traditions of my family, including Ukrainian Christmas, which we celebrate on Dec 24. Growing up January 7 was recognized in some way, mom would make Latke’s or we’d have a mini Ukrainian feast again. This time of year oranges of all sorts are abundant. T just brought home a box of juicy california oranges. What to make? A salad. I recently made this super simple dressing and salad. I love this dressing, it is light, healthy and if you are vegan, you can replace the yogurt for your favourite non-dairy replacement. Mix about a 1/4 -1/3 of the dressing and salad ingredients together. Top with more fresh cracked pepper. Summer, boy how time flies. I have nothing but outings to share with you these days because I feel like I haven’t been in the kitchen for weeks (well, to experiment and cook up new and wondrous things that is…I have plans though). This past weekend took us to Winnipeg for a lovely wedding. 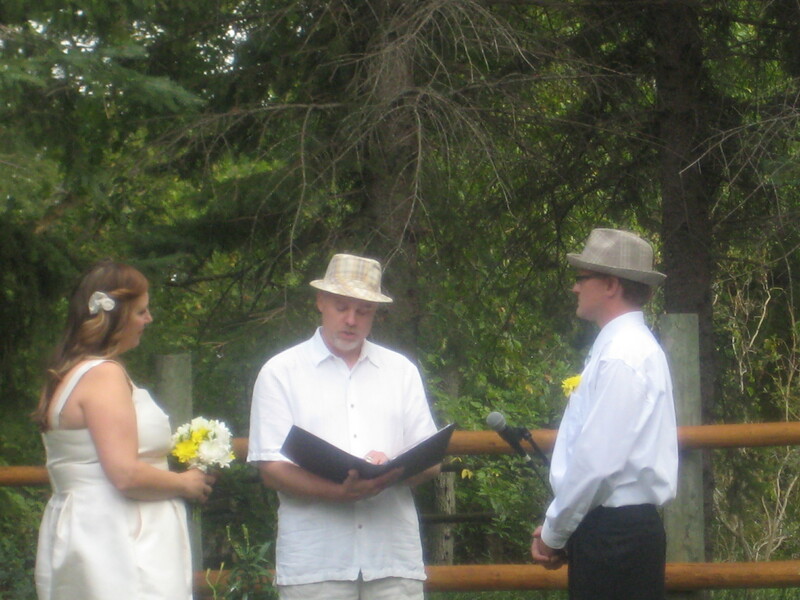 My pal Lenore and her man Jack got hitched at the Hitch’n Post in Grosse Isle, Manitoba. What a great spot and if you knew these two, you’d say the location was perfect. The wedding was outside nestled among the trees, you could hear birds chirping and a friend strummed a guitar as Lenore walked down the aisle. Lovely. Outside, all around and inside on walls and in the rafters were relics from days gone past. From old trucks to chainsaws. L is a very clever-crafty-stylish gal that blogs at Lather.Write.Repeat. If you haven’t already made your way through my links section, do check out her blog and if you are ever in Winnipeg (with car) you might want to pick up a piece of vintage furniture she has freshened up to bring home. Her sense of style landed her a page in Style at Home magazine recently (September issue, at the back, spotlight on Winnipeg), and in it she shares some of her favourite picks in her home town. T and I decided the best way to see Winnipeg is follow the advice of a friend, so we spent a day doing just that. Here is our tour of Winnipeg. We stayed at the Inn at the Forks, which is near the Forks Market. A public park along the Assiniboine River with restaurants and shops where we met the new bride for tea. You know me and my thoughts on sugar…if I am going to have it make it worth it, like a cupcake. 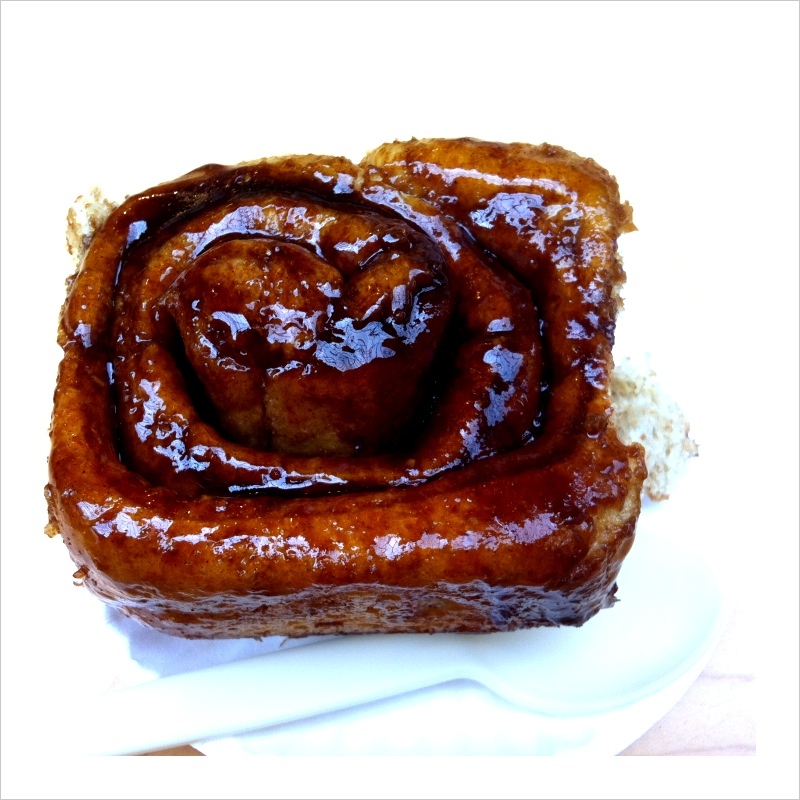 Well I made it worth it with the best Cinnamon bun I have ever had from Tall Grass Prairie Bread Company. It was whole wheat, not that sweet actually, full of cinnamon and no gross icing. It was warm out of the oven. I washed it down with a tea from Human Bean Coffee and Tea Shop. T and I ventured out to hit up three areas of Winnipeg; The Exchange District, Osbourne and Corydon. 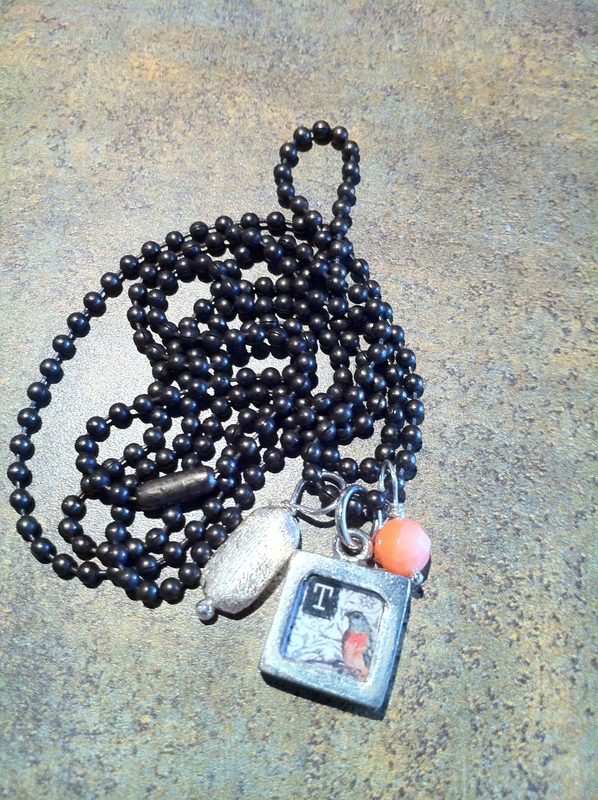 I put together a sweet necklace at Silver Lotus jewelry shop. L bought me earrings and T cufflinks from there for our wedding. 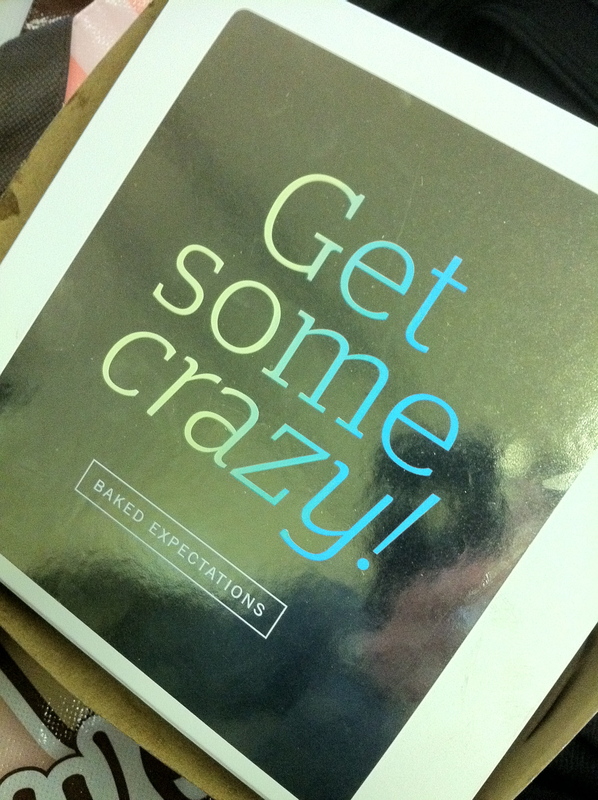 We picked up more sweets at Baked Expectations for dessert (holidays are for indulging right?). I chose the caramel pecan cheesecake, T picked the Key Lime Pie. More on this later. We headed to the Fort Garry Hotel to check it out. We heard from wedding guest Kelly that it was said to be haunted. Darn, didn’t see any ghosts. Before our flight home we settled in for an early dinner at Bonfire Bistro. This was the perfect spot. Ingredients of the season, modern Italian menu, nice glass of wine (I need a cleanse now). I know some of you LOVED that watermelon salad I posted a few weeks ago, here is another version. 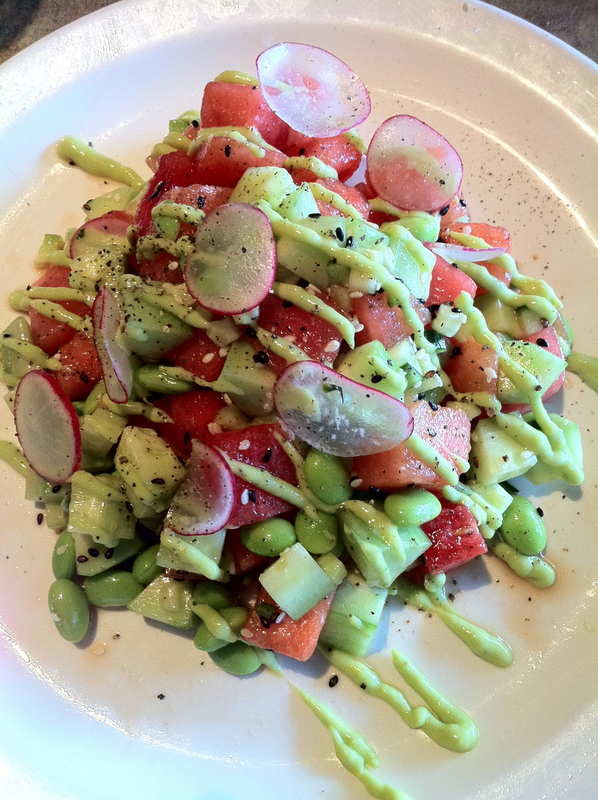 Try cubed watermelon, shelled edamame beans, cubed cucumber, thinly shaved radish with an avocado creme dressing (or dressing of your choice) and a sprinkle of toasted sesame seeds. 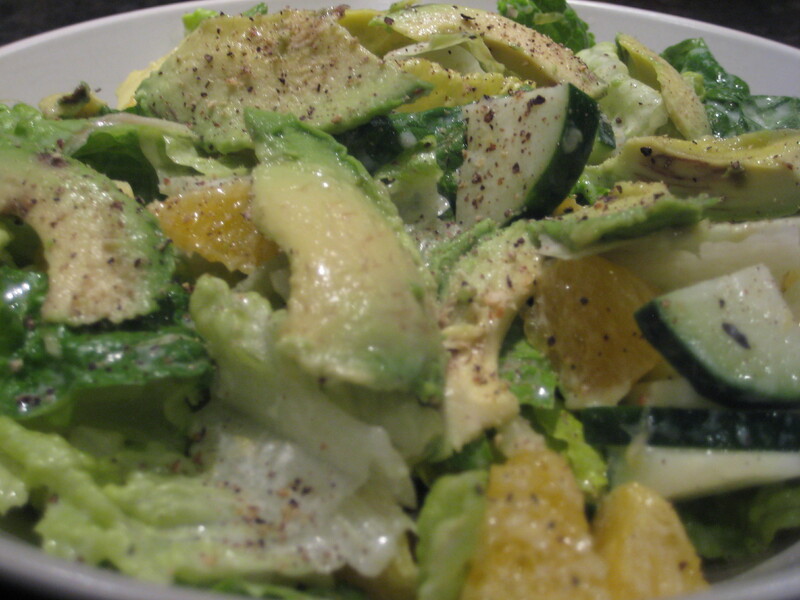 I have an avocado creme dressing somewhere…i’ll have to share that one day. I have to say, I wish we had more time than the afternoon to see the museums. A new Canadian Museum of Human Rights is being built right by The Forks and I plan on visiting that one day. We got back to the airport with plenty of time to catch our flight and of course it was delayed, grrr. We had planned on eating our dessert on the plane, but the terminal would have to do. I love the box. Now it is September, the harvest is among us (although I am patiently awaiting the redness of our tomatoes…wait, I see red!!!) and hopefully you are able to enjoy the extended summer if you are in Calgary. We might just get a ‘fall’ this year! So I planned on just doing a quick post on a simple salad I made…nothing ever turns out simple though AND I learned something of course :). Most nights after work we eat a big salad. I think I have mentioned before that I eat lots through the day and wind it down at night. I sleep better when I don’t eat complex carbs after 4PM (complex carbs = flour, potatoes, grains etc). This is important when you are going to bed early and getting up early for physical activity, in my case ashtanga yoga. Eating lightly at night lets the system rest and not spend the night with a slow metabolism trying to crank through a big bowl of pasta. If you are one of those that can do that (aka my husband) good on you, I can’t. 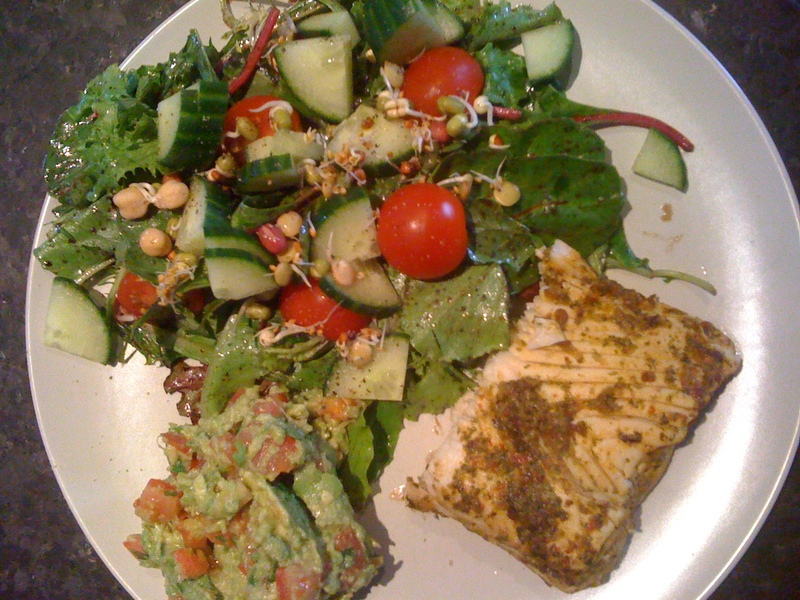 I eat my whole grains, the more the better, veggies and such through the day and finish the day with a bit of protein and a salad. Salad dressings around here are quite simple. The kind you throw many ingredients into a jar and shake. We use a lot of olive oil and different vinegar’s, apple cider being a favourite. Piri Piri olive oil, sea salt and fresh cracked pepper is a staple too. Sometimes I make blended dressings, made with cucumbers, avocados and a variety of nuts. For a treat and a quick go to dressing I grab Simply Natural’s Goddess Dressing. In writing this blog entry, I of course googled it to find a picture and fell upon a gaggle of goddess type dressings. Apparently ‘green goddess dressing’ was a big trend in the late 70’s. It is a mayo, anchovy and herb dressing. Some include avocado, others have dropped the anchovy and all of them include a different variety of herbs, giving it a green hue. Huh. Anyhow, in a snap, Simply Organic’s Goddess Dressing makes any salad a big yum. The other day I threw together a bunch of veggies I had in the refrigerator like shredded red cabbage, chopped cucumber, shredded carrot, diced red pepper, sliced avocado, a radish from the garden and a diced tomato. I warmed up some falafel’s and threw them on there with some Goddess Dressing. The dressing has tahini in it so it is perfect with falafel’s. I get mine at Planet Organic, and I am sure you can find it near you in an organic section. Some people really don’t like cilantro, we love it. Not related, but our favourite restaurant in Calgary is Cilantro’s, how cute. Anyhow, cilantro grows up so fast, especially if you buy the little plants like I do to create two big baskets of herbs each year. I get mine from Planet Organic and they have done well the last few years. However, I usually use bits of cilantro as it grows then it goes to seed by mid-July. It’s a bummer cause once it’s seeded it’s done. You can dry the seeds, which is coriander, but this year I opted to see if I can use the cilantro in all it’s glory. I cut the cilantro back today. I heard that if you leave a few inches of cut cilantro stems before it goes to seed it might produce again, i’ll see about that, not convinced. Of course I cut the cilantro back and then decided to do more research online. I wanted to know drying and freezing methods. It’s a finicky herb and doesn’t preserve well at all, it looses it’s oomph of flavour and tends to go dark. Most blogs say ‘just buy fresh’. I agree, but on those days you are whipping up guacamole and you’re like ‘I wish I had some cilantro’ there had to be a way to do it well. 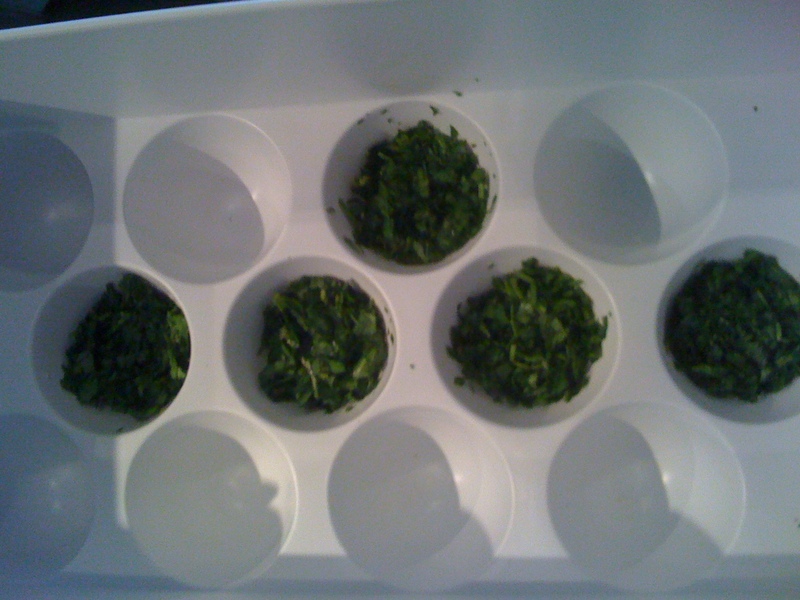 Besides, I have dried cilantro, flavour is a bit dull, but it works in a bind. Try I must. The best and most logical instruction I found was to chop the cilantro, stems and all, place in an ice cube tray, dash of lemon juice and a bit of water. Other options were to freeze in oil and lemon juice, water on it’s own or puree with onions and garlic and lime juice. I opted for the simplest since I wasn’t always sure what all I’d use it for. The lemon juice should help preserve the green colour. 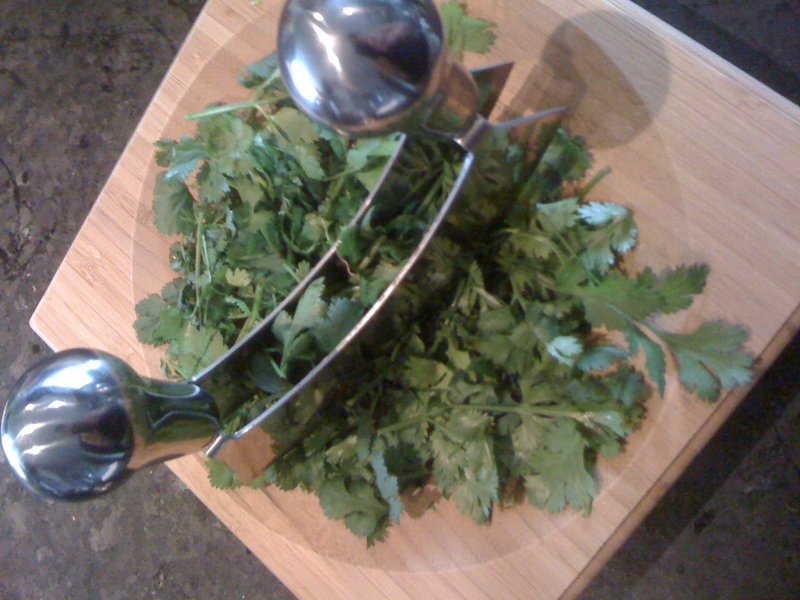 Chopping the cilantro with the mezzaluna. If you don’t have one, get one, great for herbs, fast and less mess. Chopped cilantro in the freezing tray. I used an egg tray since our fridge didn’t come with ice cube trays, it has an ice maker. 🙂 Only put enough water to come to the surface of the cilantro. I added 1 tbsp of chopped cilantro to each round, 1 tbsp lemon juice split between the five rounds and a touch of water to each. 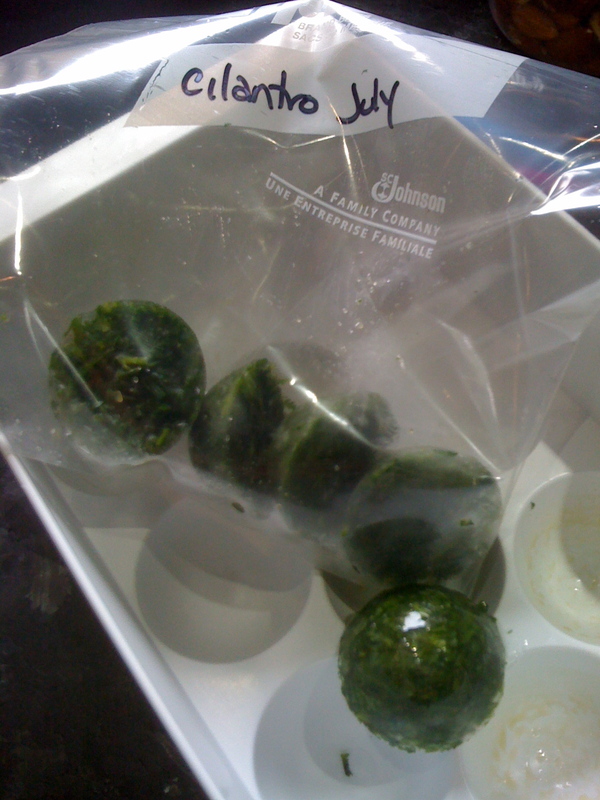 Frozen half-spheres of cilantro, throw them into a freezer bag until the time is right. Blend in food processor. 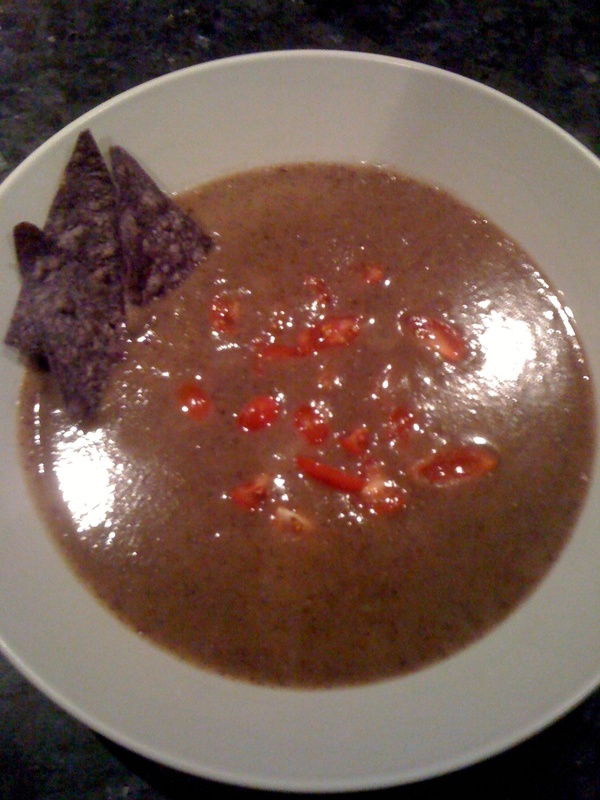 Use sauce as a marinade for grilled meats, poultry, and fish or serve with tortilla chips. Makes 1 1/2 cups. I used 1/2 cup on the fish and froze the other cup in two 1/2 cup measures. We grilled the fish in tinfoil. May seems to be a sprouting month, with the sun shining in Calgary and gardeners anxiously awaiting the May long weekend to get their pots and gardens growing. We are included in that group and ready to dig the garden. This past weekend we spent doing the spring clean up, getting the pots out, cleaning off the lawn furniture and cutting the bit of lawn we have. I am excited to see how the perennial bed turns out as we moved things around late last year. We spent the weekend in the midst of the plum tree in full bloom and the smell kept us smiling. 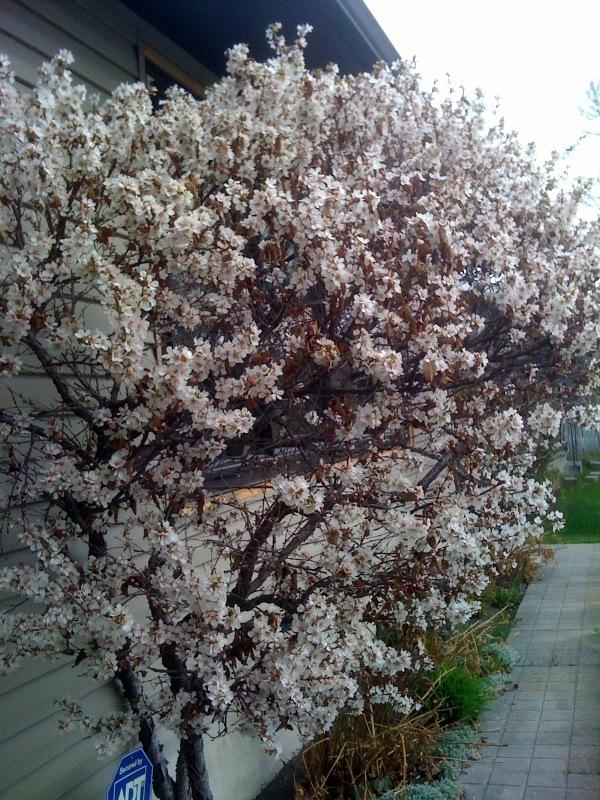 The Nanking Cherry’s are blooming and buzzing with bees. Our white peonies are already 2.5 feet tall, flower buds are forming and ready for a June premier. Peonies are my favourite and although they bloom for short time they signal summer is here. When they bloom I’ll be sure to share! Back to sprouting. This month’s Yoga Shala Just Eat It recipe is Sprouted Quinoa Breakfast. Sprouting quinoa, legumes, grains and seeds is easy. The best thing about sprouting is that you have healthy food ready to eat with no additional cooking or preparation. You just need a little patience and that’s exactly what us yogis are working on everyday :). This breakfast is easy, it can be made ahead and ready to eat after your morning practice. On top of 1/3 cup of sprouted quinoa, add diced apple, banana, orange and pear and a 1/4 of diced avocado. Sprinkle with a variety of sprouted, raw or lightly toasted seeds like pumpkin, sunflower, flax and nuts like almonds, walnuts and cashews. Don’t have a lot of quinoa, use the left over brown or wild rice, mix it together. Eat it.